Magnetic bike -510 Manufacturer with lots of Features. 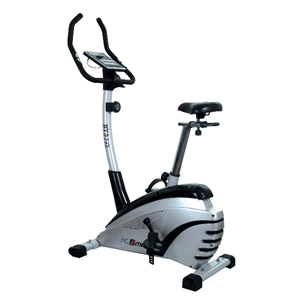 LED monitor with single window display, Display tracks, scan, Rpm , Speed , Distance .The Magnetic Bike- 510 comes with Heavy frame work with different color. 10 KG Heavy magnetic wheel for smooth workout. Manual 8 level magnetic resistance adjustable system. Computer main function: Speed, Distance, Handle pulse, Time, Calorie, Scan, Body Fat, BMI, BMR. Adjustable foot pedal strap with poly-V belt to get silent and smooth motion.